Ruest will serve while the company looks for a permanent replacement. He has been with Canadian National for 22 years, the last eight as executive vice president and chief marketing officer. The high-level change is a response by the company to customer complaints on service delays that have continued for the last several months. Network congestion problems brought a public protest from its client Halliburton Co. that said its earnings could be impacted by Canadian National delays in delivering sand needed for hydraulic fracturing. 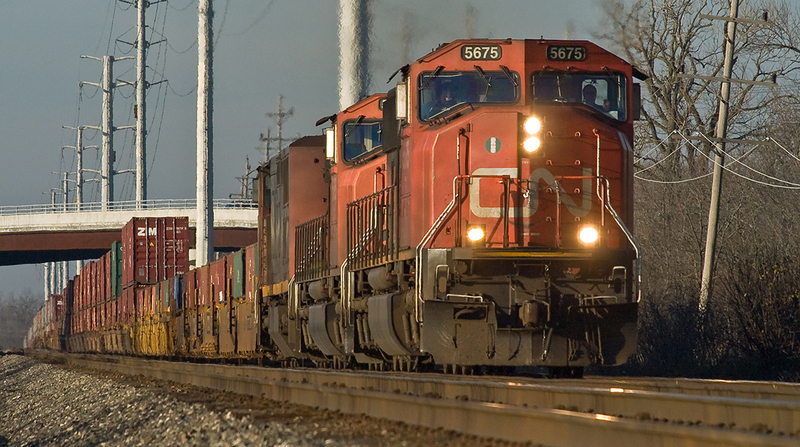 As the complaints grew Montreal-based Canadian National pledged to buy 200 locomotives, hire about 400 conductors in the first quarter and raise its 2018 capital spending budget to C$3.2 billion with $700 million devoted to increasing capacity. A statement from Canadian National Chairman Robert Pace on March 5 made clear that those moves weren’t enough to save Jobin who became CEO in July 2016. “The board believes the company needs a leader who will energize the team, realize CN’s corporate vision and take the company forward with the speed and determination CN is known for,” according to the statement. Pace acknowledged that the railroad has been having problems for several months. “The board … recognizes the immediate operational and customer service challenges the company has been facing since fall 2017 — led by high demand and insufficient network resiliency coupled with severe winter weather conditions,” he said. That issue is borne out by findings from Bloomberg Analytics on recent Canadian National operations. It noted the average train speed for Canadian National dropped 17% year-over-year in the first six weeks of 2018. Meanwhile, the average time railcars sat idle rose 43% at Canadian National compared with a 2.3% rise for its competitors. The company’s stock has fallen nearly 6% in the last three months in New York Stock Exchange trading. As part of its announcement Canadian National reaffirmed its guidance for fiscal 2018, saying it expected earnings per share in the range of $5.25 to $5.40. In 2017, it reported net income of $5.5 billion from revenue of $13 billion. The income benefited in part from the change in U.S. tax laws enacted in December.